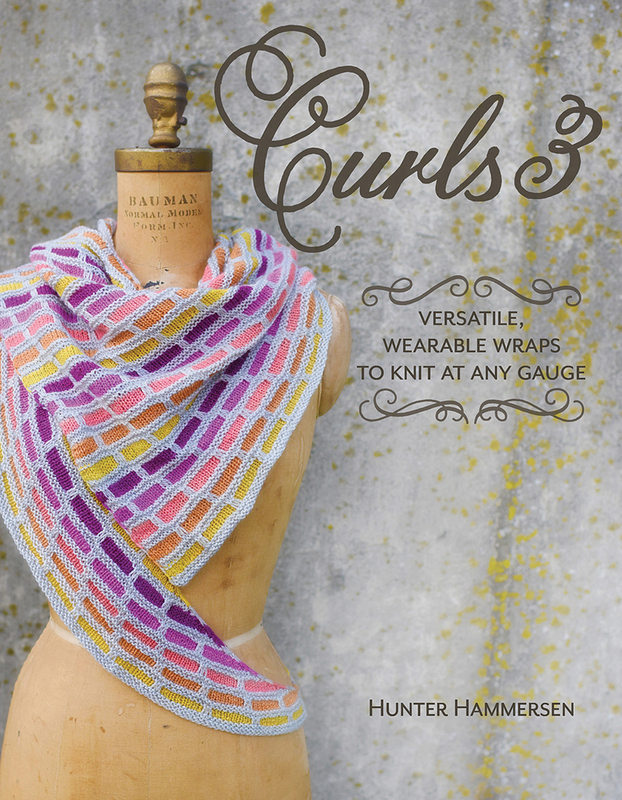 Curls are marvellously flexible, wearable wraps that work with any weight of yarn, can be knit at any gauge, and look beautiful at any size. Knit them small and wear them as a cowl. Keep going to make a scarf. Do a bit more, and you've got a shawl. They form a wonderfully curved shape that drapes beautifully around your neck and shoulders and can be worn in lots of different ways. Use your favourite yarn, and knit at whatever gauge gives you the fabric you like best. You're in charge, you can't mess it up, and you're going to love the result.